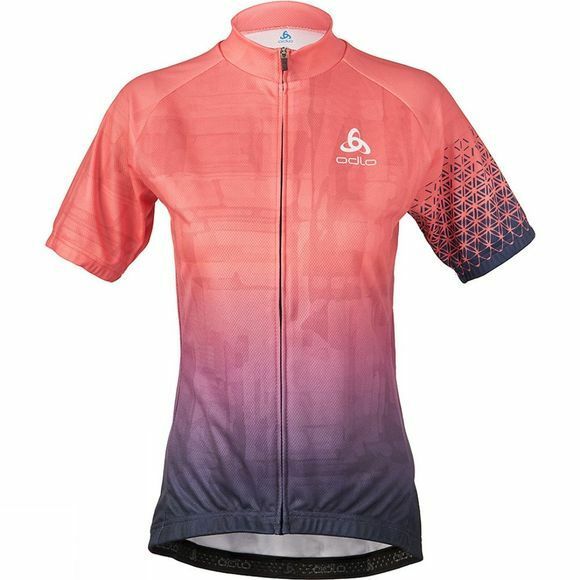 The Women's Active Print Stand-Up Collar Jersey from Odlo is your go-to baselayer when it comes to summer cycling. 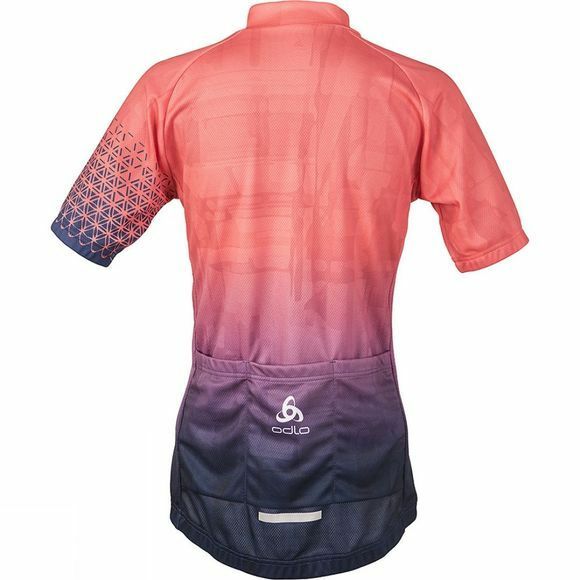 With an exciting ombre design and reflective elements to increase visibility in low-light situations, you’ll shine bright on the outside while feeling strong on the inside. PES eyelet structure material provides excellent moisture management for increased comfort in the saddle and an athletic fit gives you a streamlined look and feel. Go further this summer in this functional and eye-catching jersey.